The one drawback with having a food blog is that you almost never want to remake a recipe that you have already made. It just doesn’t make good sense, really. Why would I make something that is already photographed and posted when I know that new recipes are waiting to be made?! It’s just inefficient, really. It turns out that inefficiency is the name of the game in my household. Just in the last week, I managed to make these deliciously sticky sticky buns, followed by this creamy butter pecan ice cream, felt bad about both of those things, so then made a couple glasses of this green juice, which made me miss the sweetness again, so I remade these gloriously chocolately cookies. Whoops. (I feel the need to tell you that I had guests in town next week. I don’t know, I’m feeling a bit judged). I need a balance in my life, people! So here is the new recipe. 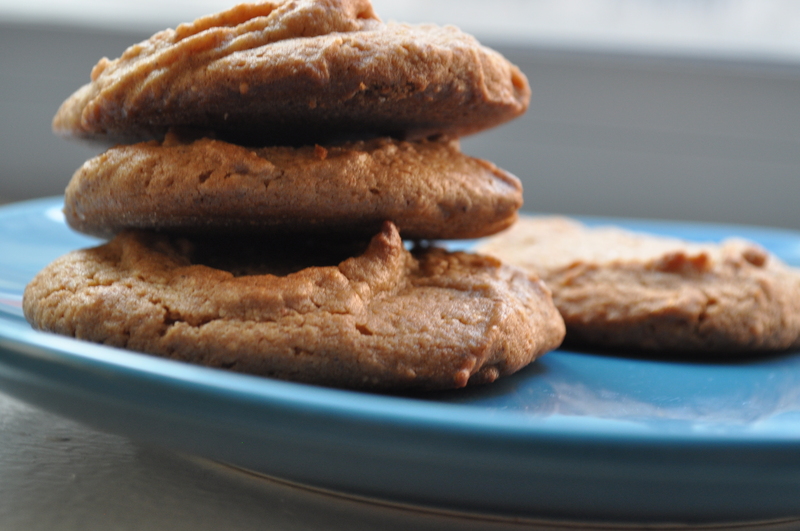 A cookie that will satisfy all of my sweet tooth needs, but won’t break the calorie bank. 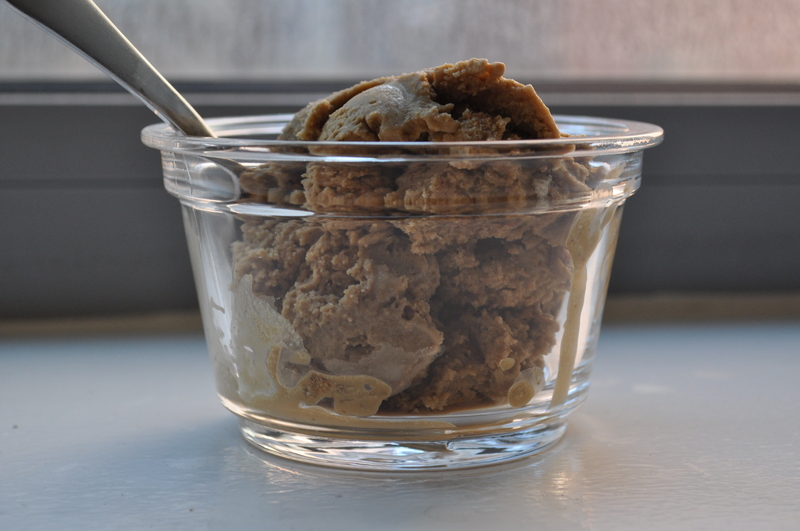 It’s egg-less, it’s refined sugar-less, and it’s (almost) butter-less. I mean, as cookies go, this one is pretty virtuous. But as virtuous cookies go, these are pretty tasty. They’re cakey and they’re just barely sweet and they are just satisfying. Oh, and you sprinkle some sea salt on top, so you feel fancy too. I will more than likely be making these again, so this fixed…nothing. 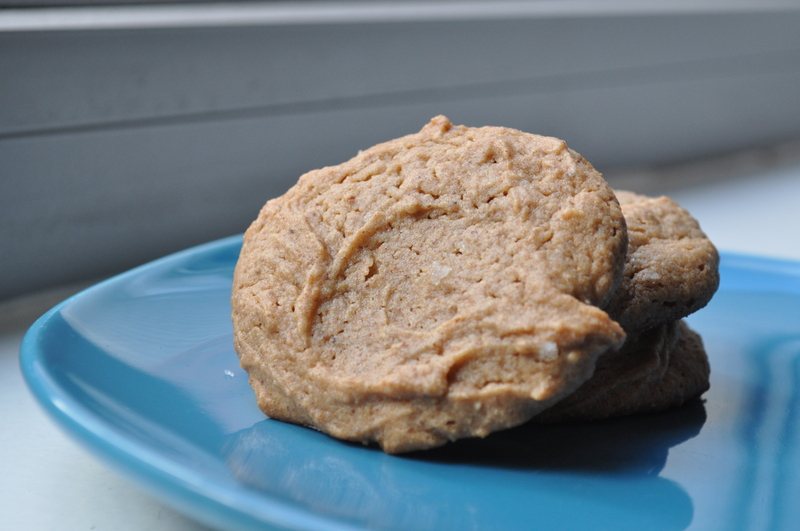 This recipe uses white whole wheat flour. I wasn’t kidding about the healthy part. 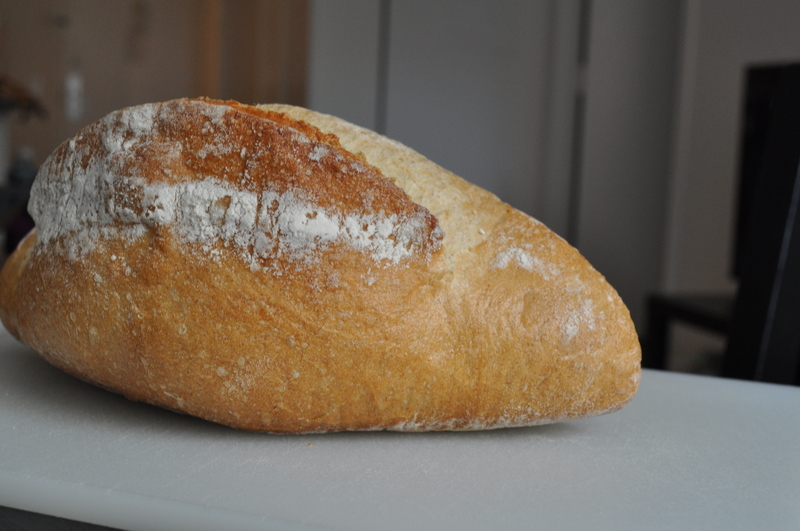 White whole wheat flour, or whole wheat pastry flour is lighter than regular whole wheat flour. But if that’s all you have on hand, go with 1/2 cup whole wheat flour and 1/2 cup all purpose flour. 1/2 cup agave, or maple syrup, or golden syrup, or honey – whatever you want, but keep the sugars natural, people – we’re going for a theme. Arrange the oven rack to the top third of the oven. Preheat oven to 350. Combine dry ingredients in a small bowl. Set aside. 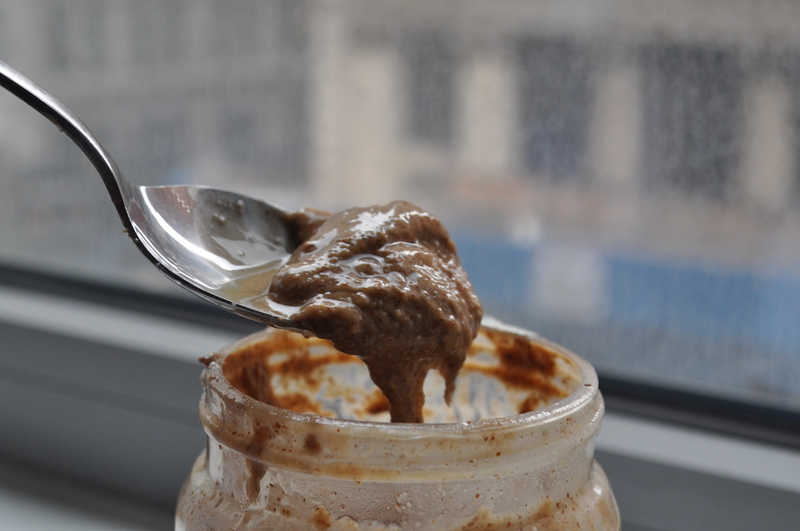 In another bowl, whisk together butter, almond butter, agave and vanilla. Pour the wet ingredients into the dry ingredients and fold together until just mixed. 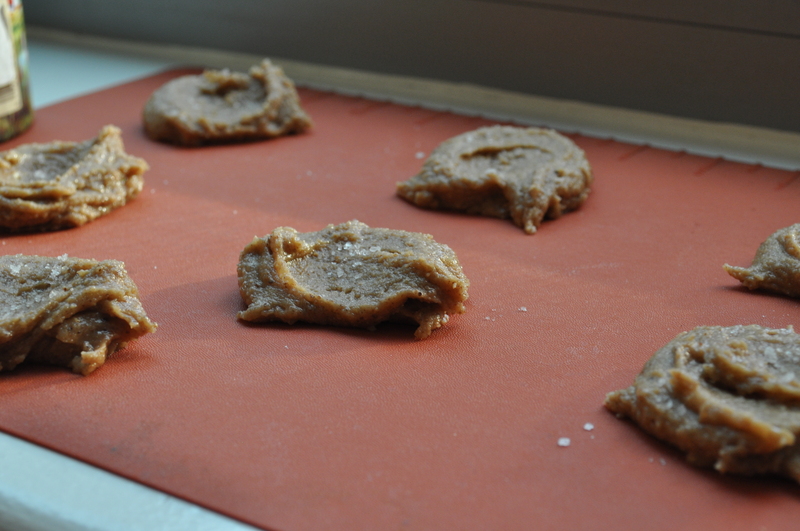 Spoon out tablespoon-fulls onto a parchment paper-lined baking sheet. Lightly sprinkle each cookie with sea salt. Bake for 10-11 minutes, or until the cookies are just getting some color. 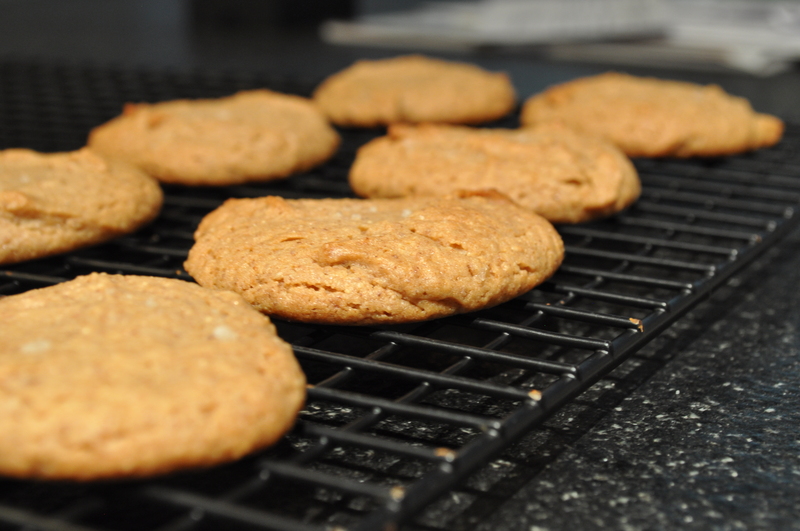 Let cool on baking sheet for 3 minutes, and then transfer to a wire rack to cool completely. I’m pretty high maintenance when it comes to dinner or lunch. I always want to try new things, find new recipes, and I hate having the same meal more than two times in a row. I basically have no attention span, get bored very easily, and may even throw a tantrum. I exaggerate. Well, kinda. But the same isn’t true for breakfast. For some reason, breakfast is the same everyday for years. 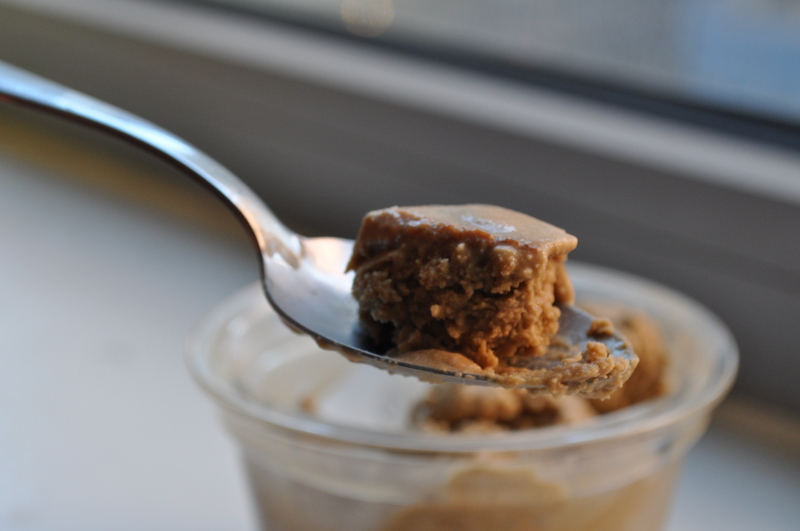 I mean, there may be some variation (yesterday I had my oatmeal with peanut butter instead of almond butter! ), but mostly it’s the same. And it’s mostly a bit mundane. It’s the same for you too, isn’t it? Is it because it’s too early? Is it because a fancy breakfast is saved only for special occasions? Is it because we’re always running late? Well, whatever it is, that is all about to change with these yogurt parfaits. No, I know, parfaits are nothing new to a breakfast table. But cook the apples…in some butter…with some spices. 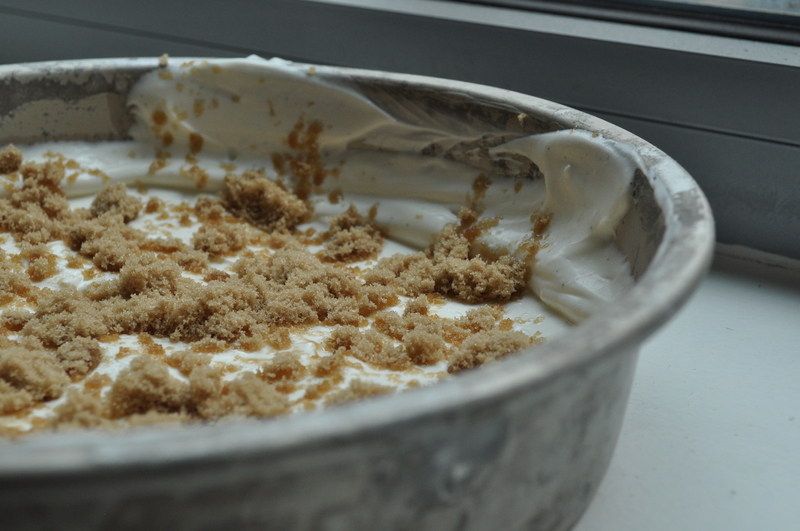 Let that seep into thick Greek yogurt sprinkled with crunchy brown sugar. And you basically have apple pie for breakfast. (Or add some berries like the picture above, and it’s equally delicious). It’s lovely, it’s easy, it feels like a special occasion, and most importantly, it’s different. Mix together yogurt with cream. 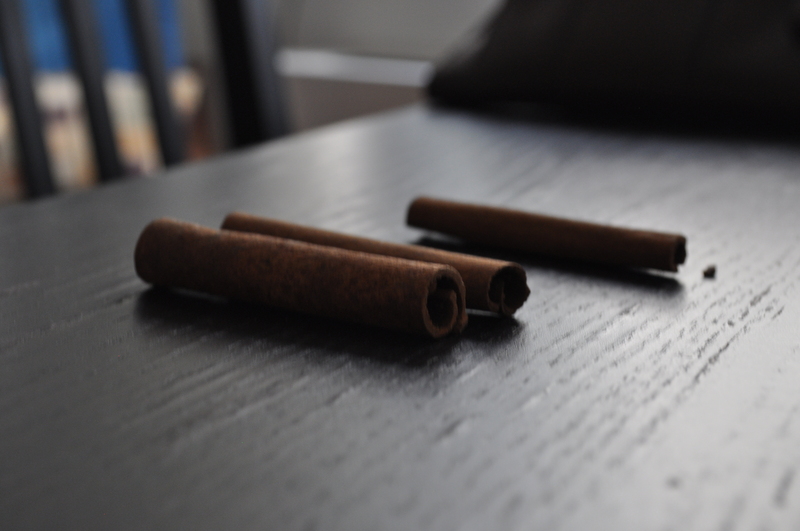 Add in vanilla and cinnamon. Spread the yogurt mixture out in a shallow bowl. 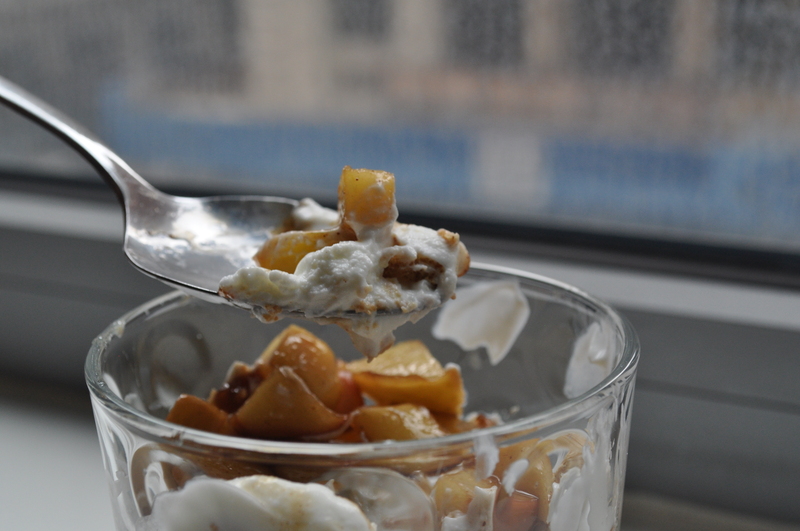 Evenly sprinkle the brown sugar on the surface of the yogurt. Put in the refrigerator for 30 minutes. Melt the butter over medium high heat until melted. Add apples and spices and sauté until the apples are fully coated. 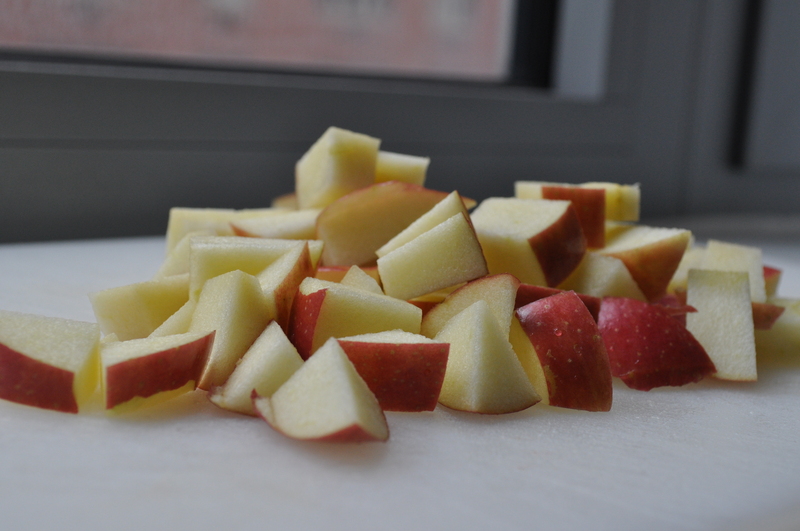 Squeeze a squirt of lemon on top and keep stirring until apples are fully cooked but still firm, about 3-5 minutes. Let cool completely. 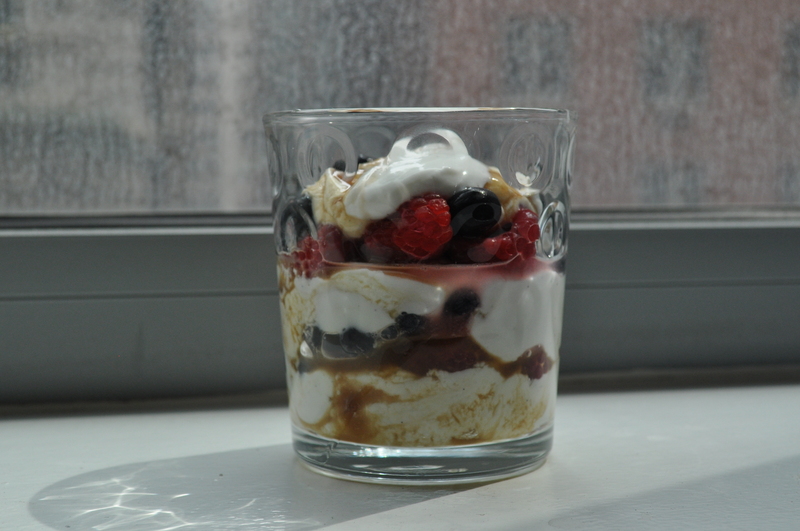 Make parfaits: without mixing in the brown sugar, spoon out the yogurt into cups. 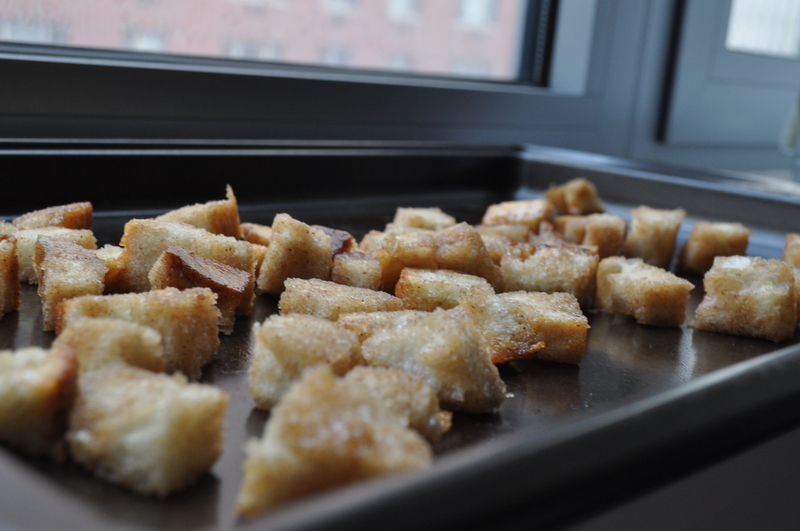 Layer with cooked apples and biscotti (or whatever you are using). 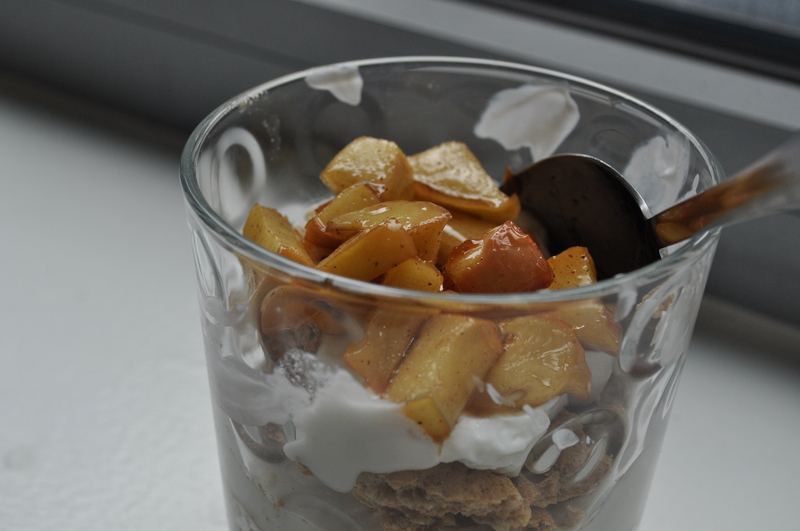 Keep layering, using 1/2 of the yogurt, and 1/2 of the apples. Eat immediately.